Jordan Wilson's Creative Art Lair : Update! A few things I've done from this term that I should post up! 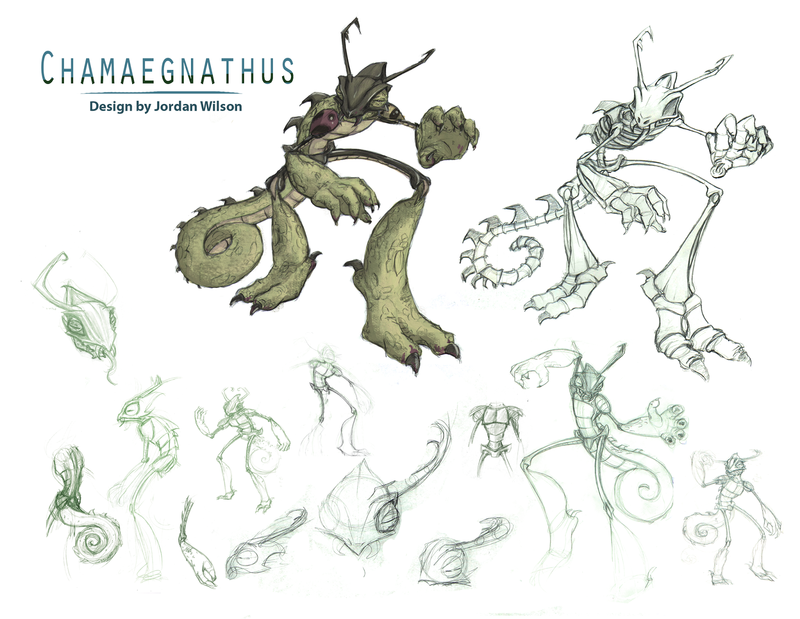 We had to design a creature and skeleton for a class project. I made sure to challenge myself by making something that wasn't supposed to be cute. Well...too cute; it's still a little cute. 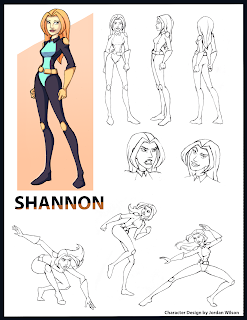 We had a project where we had to design a character using the style of Xmen Evolution, using only the model sheets the instructor provided. It was actually really fun to do, and I learned a lot from it! Doing clean up with pencil again was odd, I'm so used to digital clean up now. But it was fun! Life drawing assignment focusing on gestures. 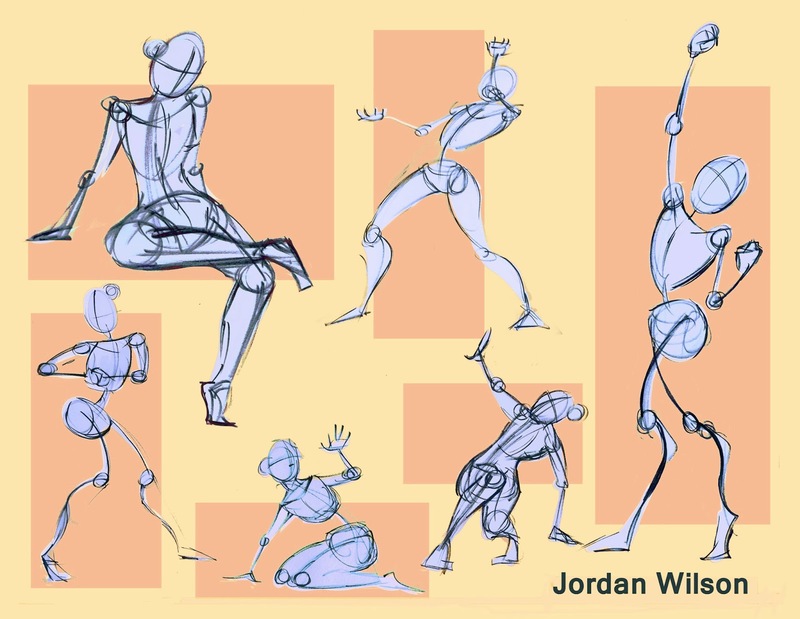 Most of these were 30 second to 1 minute long gestures, with about one 2 minute gesture- the one in the top left corner. It was challenging, but I definitely feel I improved in speed and accuracy with this assignment!